Vintage at Heart: New Year, New Blog! The new year is all about new beginnings and a chance to reinvent yourself, and so I would like to introduce to you my new blog, Deco Darling where I will be sharing all of my 1920s and 1930s inspired outfits from now on! 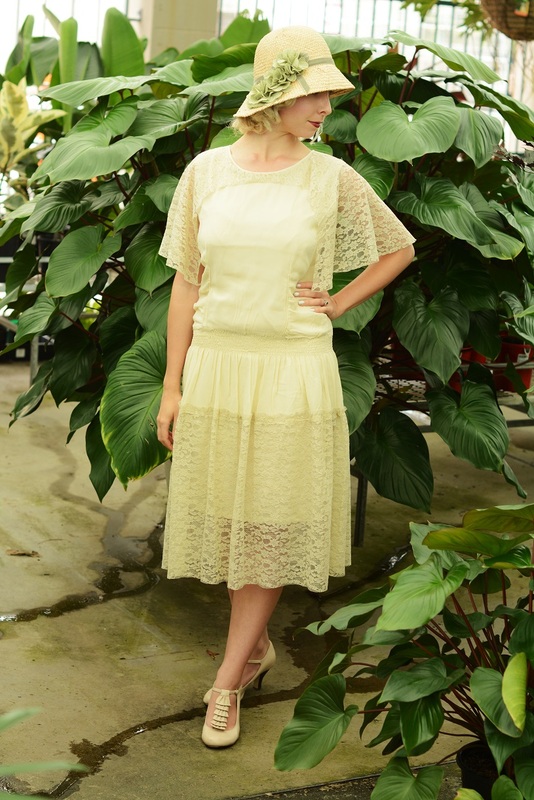 I will still continue to blog my 1940s and 1950s inspired outfits on Vintage at Heart and hope those of you who are interested in 20s fashion will join me on my new blog! Congrats to a new year and a new blog! I am excited to check out your 20s and 30s looks! Looking forward to seeing more of your gorgeous outfits on your new blog! How delightfully exciting! You look sensational in earlier 20th century styles and I'm eager to see all such ensembles that you'll share with us there. Huge hugs & joyful New Year's wishes! Gorgeous outfit! I have that hat and absolutely adore it! Also, those shoes are the bees knees! Wonderful idea! I've been super into the 1920s again lately so I'll definitely follow you over there! Oh what a brilliant idea! I've been so inspired as well but the 20's and 30's lately and I see so few pinups highlighting these eras so I'm excited to see all you have in store. Oh, I love those ruffled shoes!!! The beauty about this place is that it's not just a unique space in itself, but it's a full-service catering space as well, and the food at Chicago wedding venues is incredible. We worked / developed a relationship with them over the course, and nothing is out of reach.